When the Fat Tour swung by Toronto in October, Exclaim! TV caught up with Lagwagon front-man Joey Cape. The pioneering punk-rocker took our crew into the Lagwagon tour bus where he treated us to a couple of solo performances. We already posted Cape performing the Lagwagon tune, "I Must Be Hateful," which you can watch here. Cape also performed a tune from his 2008 solo album, Bridge. 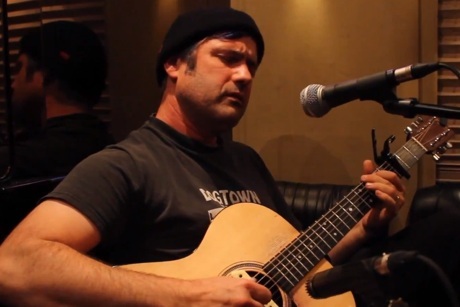 Below, watch the Lagwagon singer gently pick his acoustic guitar while performing the sad, hopeful tune, "Canoe."